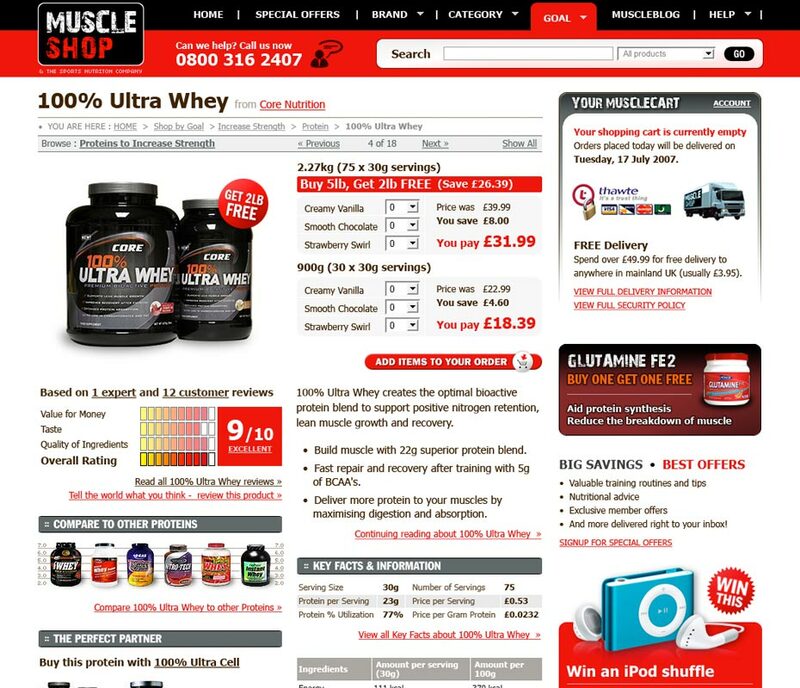 The nutritional supplement industry is enormous and often daunting. 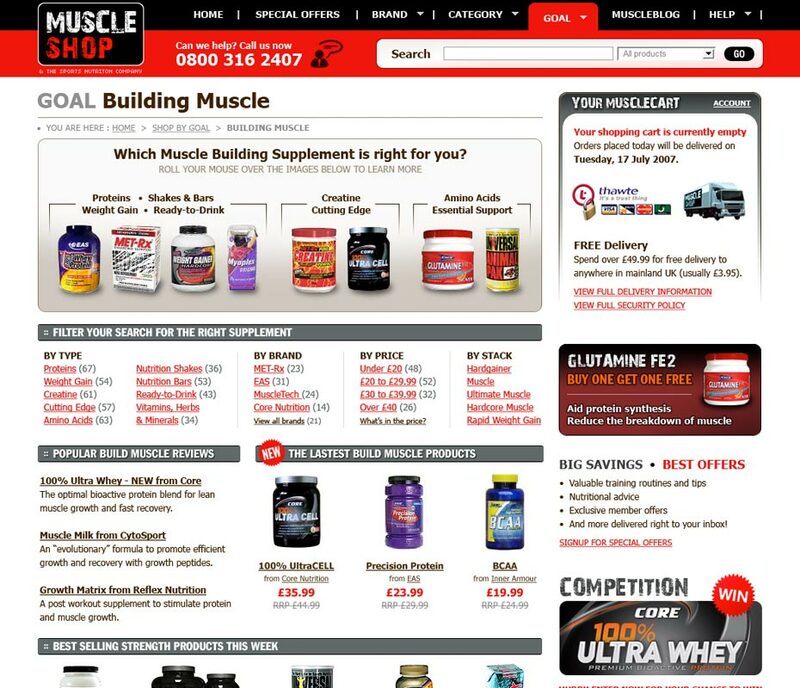 The original Muscle Shop eCommerce site was categorised using the industry standard which is only really useful when you know what it is you’re buying. Success with this redesign relied on a new approach. 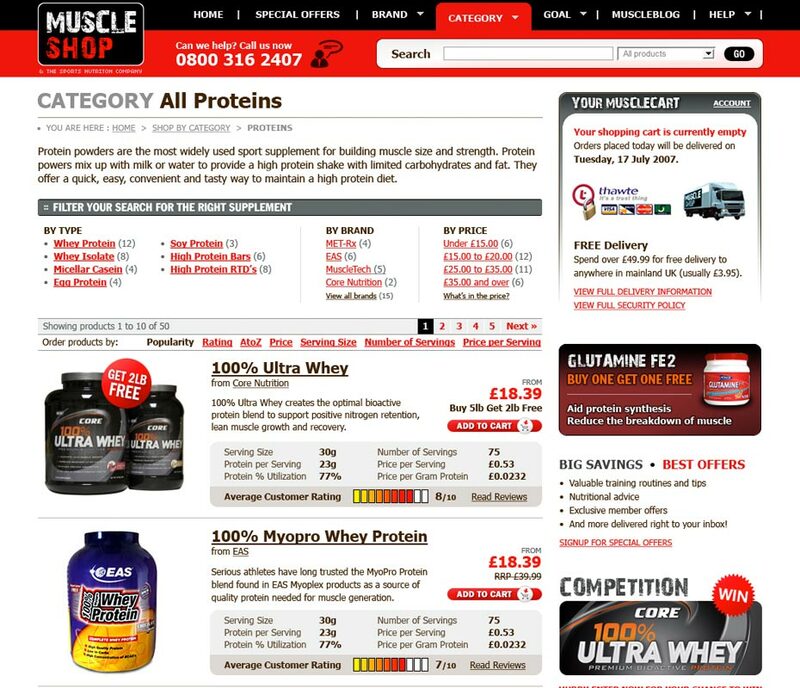 Providing customers with options to filter their product search by type, brand and price as well as sorting product categories into goal specific groupings that would allow customers to quickly narrow their search.